Meet this month's Book Doctor... Matt Haig! 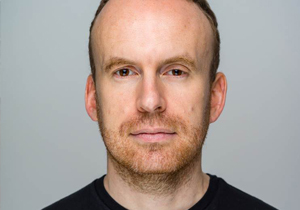 Matt Haig, author of Reasons to Stay Alive and How to Stop Time, has picked five questions – sent in by Caboodlers just like you – to answer. Exciting adventure is a great requirement for a book. I love a good Robert Harris novel, like Pompeii, for that kind of thing. Or anything by Patricia Highsmith. Flowers for Algeron by Daniel Keyes is a science fiction classic. It is even quirkier than The Day of the Triffids but brilliant, with real emotion. When my son was seven his favourite books were Horrid Henry, The Famous Five, Diary of a Wimpy Kid and so on. One that isn’t a series, but is very special is A Boy and a Bear in a Boat by Dave Shelton. It’s a modern classic. Oh there are lots. I never understand why short stories aren’t more popular these days, as they make perfect sense. Mark Haddon’s The Pier Falls is a great recent collection. But for sheer wit and great sentences you can’t beat Lorrie Moore. Her Collected Stories are amazing. Good question. It takes rigid discipline. I am very bad at this which is probably why in my own novels I often write ridiculously short chapters.